More than 22m people are being targeted as part of Self Care Week. Under the banner of ‘Choose Self Care for Life’, the aim is to engage & empower people to better look after their own health. Whether it is about self-treatable conditions, long term conditions, or lifestyle choices to ensure better physical health & mental wellbeing, this week raises awareness of the huge benefits of people looking after themselves better. But can people stay sufficiently motivated to maintain their changed lifestyles? Will the ball ever be retrieved from the ‘Long Grass’? The enhanced Export Opportunities service for UK companies has been showcased on GREAT.gov.uk by International Trade Secretary, Liam Fox. International Trade Secretary Dr Liam Fox MP said: ‘From exporting cheese to Hong Kong, online degree courses to China and frozen products to France – DIT has already helped thousands of companies to export, with exports now at a record high. Now there are more than 20,000 export opportunities available to search online, helping UK companies sell their goods overseas – and help meet our ambition for Britain to become a 21st century exporting superpower. Editorial Note: A reminder for those selling within the UK; Wired-Gov’s own Contracts Locator service provides WiredGov registered users live online & email updates on all UK government & public sector contracts worth over £10,000. While our Supplier Locator provides the ideal platform for SME’s to promote their services, solutions, accreditation & success stories directly to our ever increasing audience across all government & public sector verticals and Tier 1 suppliers. Produced jointly between the UK, Scottish & Welsh Governments, and including the NIO, the Strategy for our veterans outlines a new vision & principles to support those who served, as well as their families, in every aspect of their lives once they have hung up their uniform. Having looked back 100 years to the Armistice, this vision and its supporting principles are intended to ensure current and future veterans, and their families, can look forward to the next 100 years confident in the nation’s support. The strategy identifies six key areas where support is most needed over the next 10 years: community & relationships, employment & skills, health & wellbeing, finance & debt, housing, and contact with the law. It assesses the barriers & opportunities in these areas to providing support to each veteran, including improved collaboration between organisations, better co-ordination of services and more robust data on the veteran community. It will be published alongside a consultation paper that seeks views on how best to champion & deliver the needs of the ex-service community. This Strategy for our veterans: UK government consultation paper informs how the strategy could be implemented across the UK, except for devolved matters in Scotland and Wales. Open to everyone, including charities, employers, academics, service providers, local authorities and the veteran community, the UK consultation will ultimately inform action planning by providers of public services to support the ex-service community. The Scottish and Welsh Governments will engage separately on devolved issues such as housing and healthcare. A recent article from Briefings for Brexit comments that; ‘The EU’s proposals for Northern Ireland violate the rights of citizens in that Province, as defined in the European Convention on Human Rights: namely the right to vote’. There has been much debate recently (including by MPs) about what ‘legal opinion’ the UK government has received over the ‘Backstop’ (& if it should be ‘published’) and this article raises fresh questions over the legality of any such proposed agreement. Open Europe: How far would the UK go to secure an all-UK customs backstop? 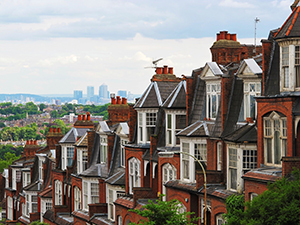 Natwest has announced that it plans to review its lending practices, following concerns that they prevent landlords from renting to tenants who are claiming for benefits. 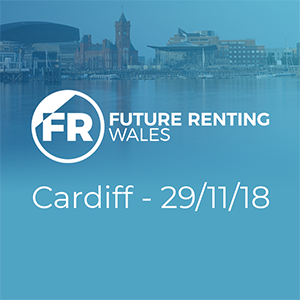 The Chief Executive of the Scottish Landlords Association (SAL) John Blackwood will address delegates at our Future Renting Wales conference next month. 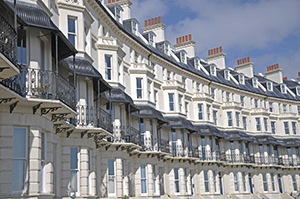 The RLA has threatened Great Yarmouth Borough Council with a judicial review over serious concerns with its selective licensing plans. Television personality and founder of Landlord Action, Paul Shamplina, will address delegates at our Future Renting Wales conference this month.